It’s important to pack light when testing prototypes across the country. As well as being practical, you have to leave weighty assumptions on the platform at, in our case, Euston or Kings Cross. 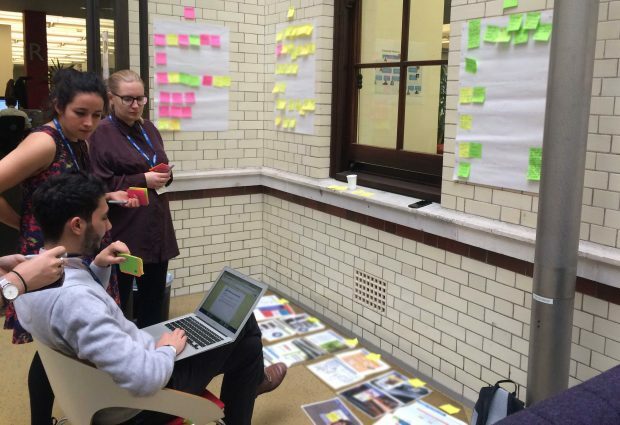 Over the last few months Policy Lab has been working on a project commissioned by the Department for Communities and Local Government (DCLG) to explore ways to improve experiences of people in the Private Rented Sector (PRS). Luckily, all our prototypes were paper-based, quick to flick through and encouraged scribbled suggestions. Policy makers from DCLG joined us on the journey to see first hand how landlords, tenants and letting agents interacted with different prototypes. As prototyping is about exploration, on the outbound journey we carried ideas and questions, not solutions. On the return journey we carried even more ideas and even more questions, not solutions. Why do some tenancies cause landlords significant worries? Which information would different groups be willing to share publicly? How come landlords and tenants don’t think about their role very often? Our time with letting agents from York and London made us question how we could deliver information that could increase both groups’ awareness of their rights and responsibilities. 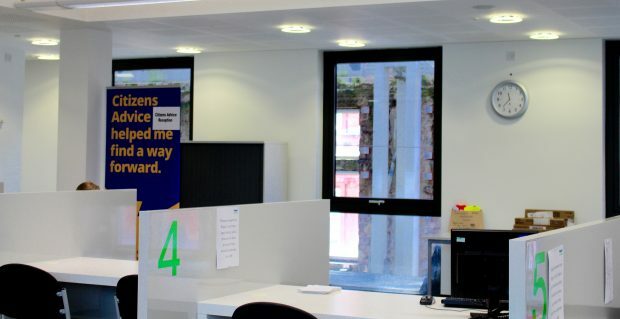 In the north west, we conducted less formal research by simply approaching people - this time on the kind invite of Citizens Advice Wigan. It was amazing how forthcoming visitors to the centre were. I will never forget hugging two older ladies in the entrance... and them continuing to wink at me as I talked to other people in the waiting area. Testing in Wigan marked the end of phase one of prototyping. We then refined the designs based on the feedback before engaging letting agents, landlords, and tenants across London. We changed the wording of our interventions to make things clearer and more accurate for users and learned where we could better place information to ensure it was seen at times it could be processed. Our redesigns attempted to understand how policy makers could target interventions before points of crisis. After capturing notes from interviews and focus groups with over 60 people involved in the PRS (approx. 50% tenants, 35% Landlords and 15% Letting agents) we synthesised all the findings. We identified, barriers, insights, opportunities (for new exploration), and changes for each of the six prototypes using verbatim and observation from our research. Having a half a day to step back and bring together the evidence was an inspiring experience which helped identify strong themes from all three perspectives. Suddenly there were clear points of tension and agreement; it was much easier to see which ideas would fail, which needed more work, and which could benefit all parties (given a few caveats of course). Last week we ran a final service blueprinting session with the policy team and stakeholders. They identified two services to map in detail to see how the interventions could be brought to life. The first looked to boosting levels of trust between landlords and tenants using online tools. The second aimed at increasing both parties awareness of their rights and responsibilities throughout the letting process. 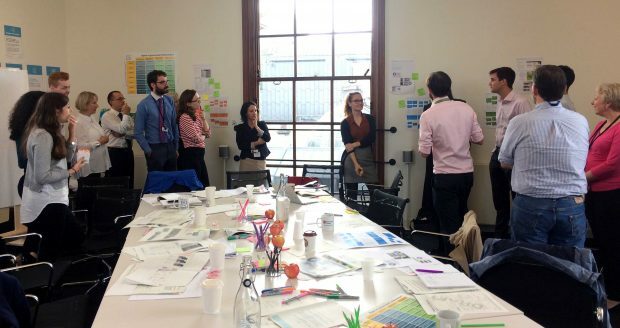 The Policy Lab's work on this project has come to an end, but we'll continue to support the team as they develop ideas, alongside wider interventions to improve the experiences of thousands of people in the private rental sector. 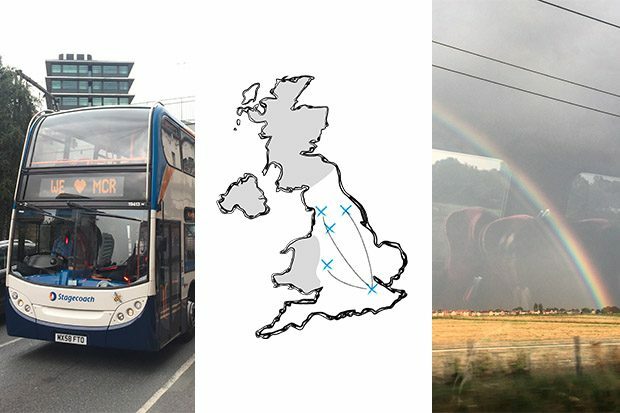 To follow us on our journeys on different projects, around the country, or through the ever changing contexts of design and policymaking check out our twitter or visit us at 1 Horse Guards. We’d love to share our processes and stories with you.